If you enjoy eating strawberries, your heart and arteries should be thanking you. In a first-of-its-kind published study, investigators monitored how eating a large daily dose of strawberries affected the key blood lipid markers – total cholesterol, LDL (bad) cholesterol, and triglycerides. For this study, the researchers had 23 healthy volunteers consume 500 grams of strawberries daily for one month. Comparing their blood samples, the first taken before the study began and the second taken at the end of the month of daily strawberry eating revealed some very significant and heart-healthy changes. Total cholesterol, LDL cholesterol, and triglycerides dropped by 8.78%, 13.72%, and 20.8% respectively. 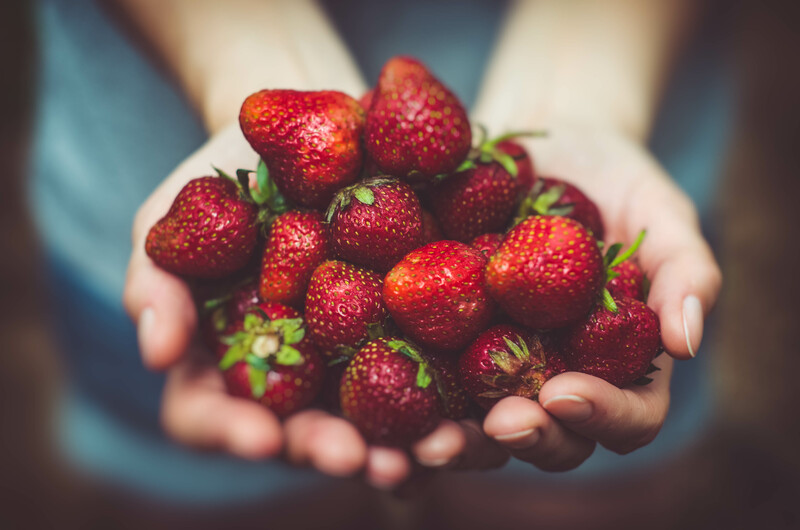 For healthy icing on the cake, the daily dose of strawberries also improved the antioxidant capacity and platelet function in the study subjects – both of which provide additional cardiovascular protection. The researchers speculate that the anthocyanin pigments that give strawberries their vibrant red color along with their fiber and vitamin C likely accounted for these beneficial effects.